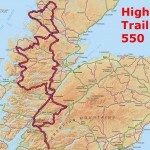 Fraser was too busy riding to stop and take photos – but here’s the route, all 550 miles of it. 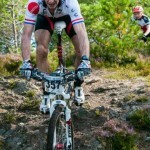 Gregor Grant won the grand vets xc championship and the overall series. Fraser MacBeath competed in the Highland Trail 550 and picked up an excellent 3rd place against some top endurance MTB riders. Time 5d,17h,23m. Kenny Riddle won the Whin Park, and the Cantry Bridge CX races. …Maybe in 2016, now the club has some grass track bikes!